Verbier is an attractive modern ski resort, built in traditional chalet style. The village lies in a sunny, south facing bowl with spectacular views of the surrounding peaks. 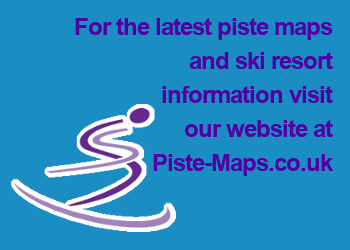 The largest ski resort in the 4 Vallees ski region, with over 400 kms of piste. Verbier is home to some of the most challenging skiing in the Alps. The 4 Vallees gives access to 80 ski lifts and more than 400km of pistes. The high altitude and plentiful snow making equipment ensures abundant snow through out the season. Verbier classifies its pistes as 43% easy, 29% intermediate and 28% advanced, but is most suited to confident, adventurous skiers. The extreme off piste terrain hosts Xtreme Verbier, the final of the Freeride World Tour. The world's best freeridersl compete for the title of world champion on the mythical Bec-des-Rosses. Most of the apres ski and nightlife is to be found in and around the Place Centrale in the centre of the resort. Rail and bus services available from Geneva, Zűrich and Martigny. Railway station at Le Châble: 8km (5 miles). 1,500 - 3,330m (4,920 - 10,930ft). 95 in entire ski area. 33% beginner, 42% intermediate, 25% advanced. Large linked ski area, extensive off-piste; attractive town; lively nightlife. Quite expensive; ski run back to resort can be busy; overcrowded pistes in certain areas.